U.S. consumers are embracing longer new-vehicle loans -- or leases -- to offset higher transaction prices and keep monthly payments affordable. Ford Motor Co. is seeking to limit the growth in long-term auto loans and leases in Canada, where consumers are twice as apt as U.S. buyers to stretch out payments to as long as eight years in order to afford a car. "It’s something that we keep a close eye on," Mark Buzzell, chief executive officer of Ford of Canada, said in an interview at the Vancouver auto show this week. "We really are trying to limit the trade cycles to shorter terms, but at the end of the day we have to stay competitive." In Canada, automakers are selling about 41 per cent of vehicles with loans of at least six years or leases of at least five years, said Buzzell. 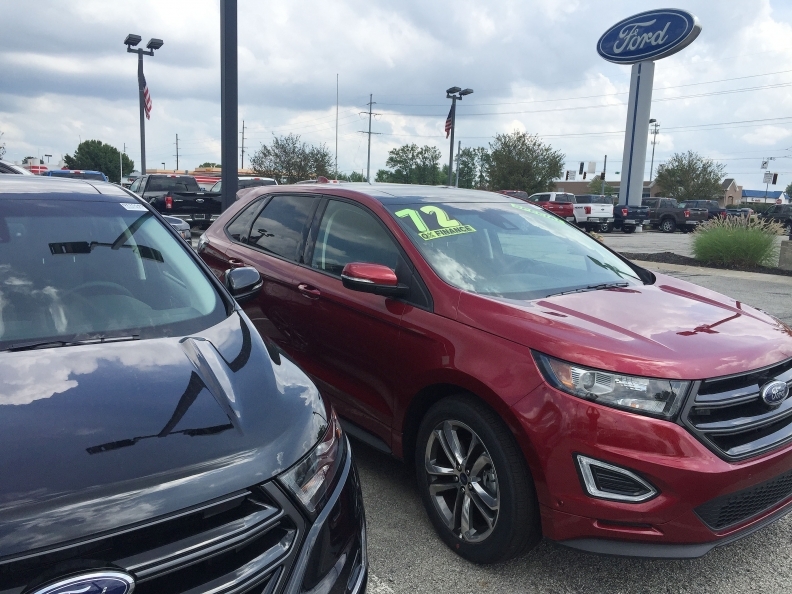 Increasing competition among automakers seeking to capture customers has stretched them to as long as eight years in some cases. In the United States, the average new car loan in 2015 was 5.5 years long, compared with six years in Canada. "They’ve gone about as far as they can go," said Jason Mercer, a Toronto-based analyst at Moody’s Investors Service. Demand for long-dated deals are helping drive Canadian passenger car sales, which hit a record for the third straight year in 2016. About 85 per cent of them are bought with debt, according to DesRosiers Automotive Consultants. As low interest rates and longer terms fuel both a housing and auto boom, the Bank of Canada has repeatedly warned about dangerously high consumer debt levels that could magnify any economic shocks. Since vehicles depreciate over time, longer-dated loans "significantly increase" the chance that an owner ends up owing more than their car is worth, a report by the Financial Consumer Agency of Canada warned last year. The share of Canadians trading in vehicles with negative equity rose to 30 per cent in 2015, and on average they were underwater by about $6,700, according to statistics from J.D. Power. Buzzell said information from the company’s financing arm, Ford Credit, indicates loss ratios are still "very healthy" but added that Ford is more conservative than some rivals. Only about 20 per cent of Ford’s cars are sold under such extended terms, half the level of the industry as a whole in Canada, Buzzell said. Ford, based in Dearborn, MIch., was the top-selling carmaker in Canada last year, with almost 16 per cent market share, according to figures from DesRosiers. Consumers are borrowing to pay for spiralling housing costs, particularly in Toronto and Vancouver, where the price of a typical home has surged to about 12 times median household income. That’s left many with less money each month to pay for other goods, boosting the demand for credit-card loans and stretched out car payments. Canadian household debt climbed to a record 167 per cent of disposable income in the fourth quarter. "There’s a squeeze on disposable income, and the whole reason for doing extended term financing is that it lowers your monthly payment," said Buzzell. At the same time, the rising net worth of households thanks to surging property prices may be tempting consumers to splurge on other items, including luxury cars. As of February, sales of luxury cars accounted for nearly 60 per cent of Canadian vehicle sales, five times their normal share, according to a March 13 Scotiabank report. "If you can lower your payment because of lower interest rates and longer amortization periods, you can do one of two things: you can keep the lower payment or you can keep the same payment as before but buy a bigger car," Mercer said. "You have a situation where people might be buying too much car for their car loan."